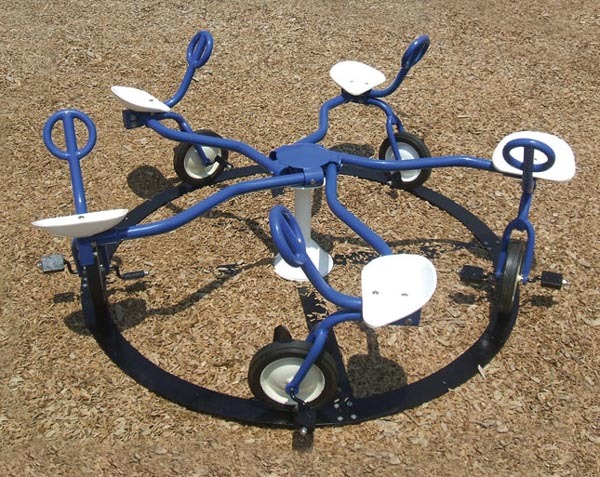 RoundWeGo� is the perfect playground addition for any Early Childhood playground. Five seats allow for multiple play and social interaction while pedaling increases leg strength and builds balance for young walkers. Can be used indoors or out; perfect for daycares, churches and Head Start programs.